(QCOSTARICA) In Washington this week, Costa Rica’s Foreign Minister called on the United States to do away with the Cuban Adjustment Act, ending the special treatment of Cubans who travel through South and Central America to reach the U.S.
Manuel González said this week in the U.S capitol that the United States policy is largely responsible for the tens of thousands of Cuban migrants in Latin American countries. The Minister added that Costa Rica and other transit countries, from Ecuador to Mexico, are paying the consequences of the U.S. policy that guarantees Cubans who reach the United States to remain there. Earlier this year Costa Rica had to find a solution for the more 8,000 Cuban migrants stranded in the country, whose intent was to reach the U.S., but stopped from doing so months earlier, in November, when Nicaragua closed its border to them. The Cuban migrants had travelled from Ecuador, when at the time it did not require a visa for Cubans to enter, then making their way through Colombia, Panama and Costa Rica. After months of diplomatic negotiations with the other Central American countries and Mexico, the latter agreed to allow direct flights close to the U.S. border. 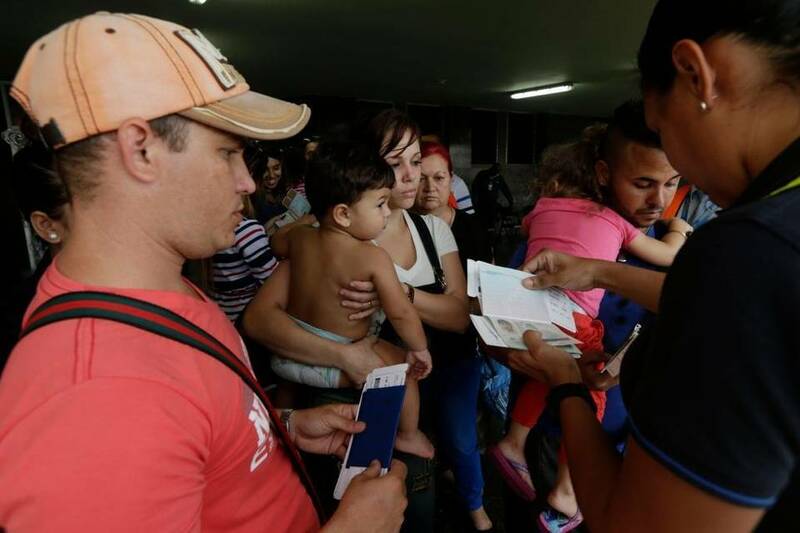 Since, Ecuador now requires Cubans to obtain visas prior to travel and Colombia this month began deporting the about 1,200 Cubans stranded there after Panama closed its borders to them. According to the Pew Research Center, more than 46,500 Cubans were admitted to the United States without visas in the last 10 fiscal months; the number was 43,000 in 2015 and just over 24,000 in 2014. While Cubans continue to risk losing everything to make the journey, U.S and Cuban officials continue their rhetoric: the U.S. continuing the welcome of Cubans fleeing the repressive Castro regime, while Cuban officials charge the United States is encouraging “illegal” and dangerous migration. Perhaps encouraged by the Cubans, Costa Rica has found itself with another migrant crisis, thousands of African and Haitians stranded in the country, waiting for somehow to make it to the U.S.
Like with the Cuban migrants, Nicaragua has also closed the border to these new migrants who don’t have the benefit to them of an open U.S. border.